Kick off your Labor Day celebrations by running a super-fast 10K or 5K and support a great cause while you are doing it! NEW! We added a 5K! Half the distance and twice as fast! Why run the Big Peach Sizzler? It's Atlanta's LABOR DAY Tradition! 10K and 5K are 2020 AJC Peachtree Road Race Qualifiers! Your Miles Mean More! Give back to the community by supporting a charity that focuses solely on Cystic Fibrosis (CF) research and the CF community in Georgia. Run for longer, stronger lives! Why not; what better way to kick-off your Labor Day celebrations than running a super fast 10K course that takes you through the heart of Buckhead! Click on Race Details for more information. FREE Gear check! Check your gear at the start and pick it up at the finish! FREE entry for people with CF! Contact info@milesforcf.org to find out how. Beginning with the inaugural Georgia Marathon & Half Marathon in 2007, Miles for Cystic Fibrosis has hosted Teams 65ROSES and Rosebuds in a variety of races throughout Metro Atlanta and beyond. Team members help raise money and awareness for cystic fibrosis, a life-shortening disease that affects 30,000 people in the United States. Funds raised are used to help provide emergency financial assistance to children and adults with cystic fibrosis, to encourage and provide financial assistance for healthy physical activity for those with CF, and to support research toward better treatments and a cure. 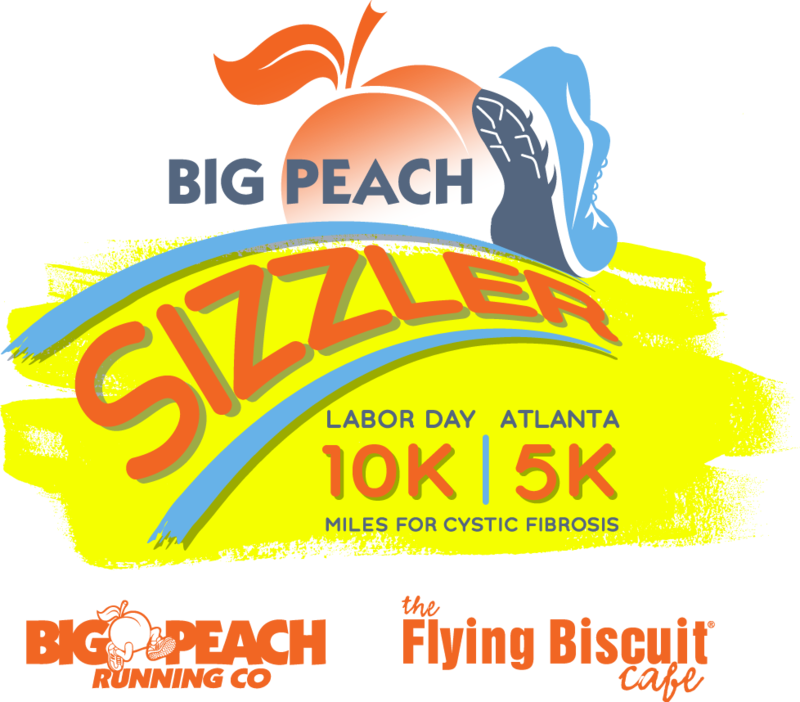 Since 2011, Miles for Cystic Fibrosis has been proud to bring to the Atlanta race scene the Big Peach Sizzler 10K, which has now become a Labor Day tradition. In addition, our organization promotes an active lifestyle and brings together countless volunteers to other running events.